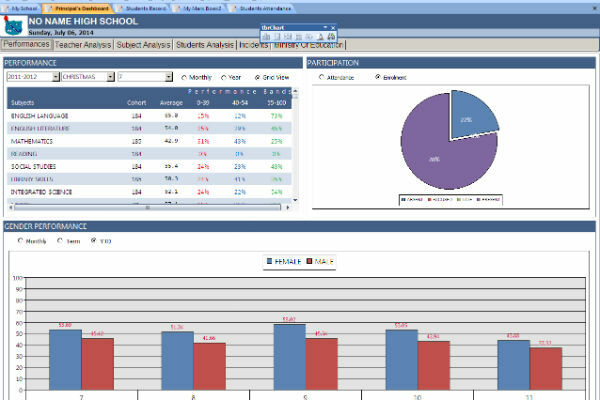 The Principal’s Dashboard provides principal or their designate with a bird’s-eye-view as to what is happening at their school. Data is provided visually using powerful pivot charts that are clickable allowing for drill-downs. The Teacher Analysis graphically displays teachers overall success. 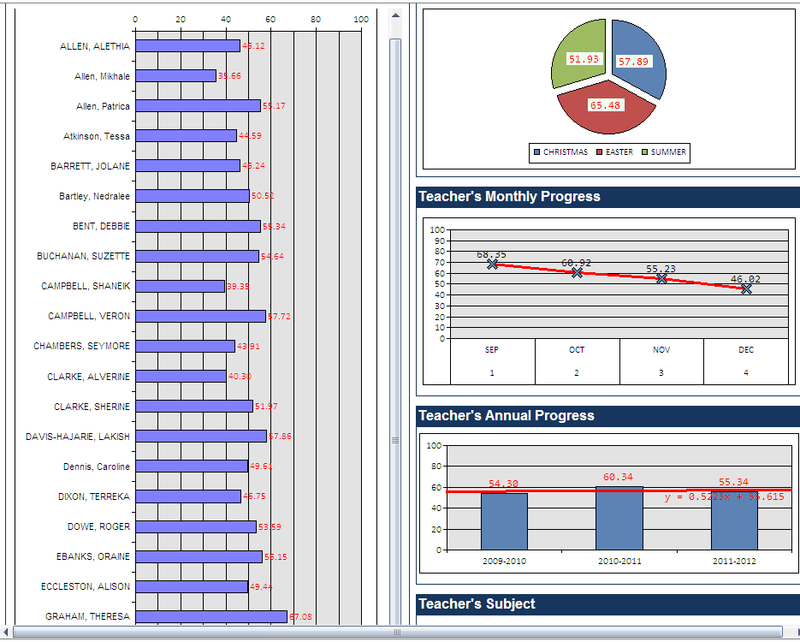 Each teacher’s overall performance is represented by a bar display the average performance.